Pamex, the International Exhibition on Printing and Allied Machinery Industries, made its presence felt at the recently held PrintPack 2019. The stall was busy with several companies landing with inquiries, booking requests and information gathering. To name a few, Ample Graphics, Megabound, Malhotra Graphics, S L Kulkarni Cyril Graphics, Ronald Web Offset, Rado Packaging Machines, PrinTools Corporation, Plastics Capital, All India Plastics, Boxtech, Graphics Impex Services, Zenith Worldwide, KMI Business Technologies, Anugrah Impex, Trutech Machinery, Sunrise Impex, Sheth Printograph, Surana Exim, Tharparkar Printing Machinery, Oriental Industrial Corporation, Accurate Graphic Services, UV Graphics Technologies, Shri Export Import LLC confirmed their stalls at Pamex booth. The list is growing with more than 135 exhibitors already on board. 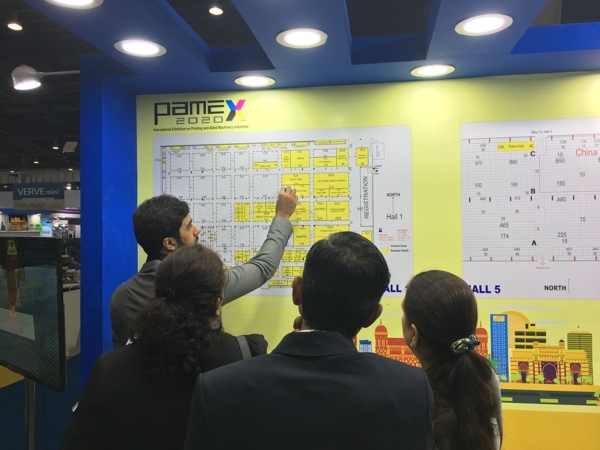 Pamex is scheduled to be held from 6-9 January 2020 at Bombay Exhibition Centre, Mumbai. The Show organised by All India Federation of Master Printers (AIFMP) in association with Print-Packaging.com (P) Ltd. (PPCPL), will feature more than 400 exhibitors and will give a global business and networking platform to the printing and allied industries. Prof. Kamal Chopra, Chairman, Pamex Exhibition joined the AIFMP and PPCPL team to meet other prospective exhibitors and key visitors at the Show. “Pamex 2020 is receiving a huge response from the industry and the kind of buzz it has already created is only meant to help the Show grow immensely from its last edition. We have several promotional road shows and other activities planned for the event, which shall eventually happen in coming days,” said Prof. Chopra. 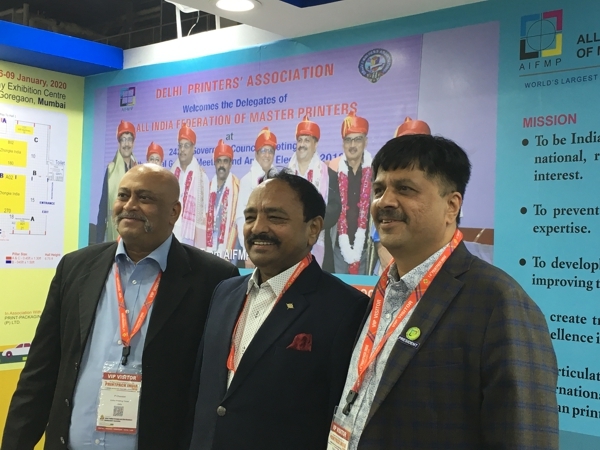 Led by his strong passion for the printing industry and the responsibilities he had taken up, Mr. Raveendra Joshi, President, AIFMP was also present at the event to meet previous and new exhibitors of Pamex. “Everyone in the industry knows that the next big event for printing fraternity is Pamex. This has certainly added speed to the stall bookings. Pamex is a wonderful platform to showcase new developments, share and learn about new printing technologies. The response is overwhelming,” said Mr. Joshi. The first issue of Pamex 2020 promotional newsletter, printed & published by SMedia Group, was also unveiled at PrintPack Exhibition. The newsletter was circulated among the exhibitors and visitors at the event.